Question #1: What type of product do you need to haul? 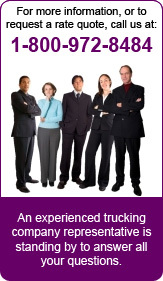 Ultimately the type of truck you rent will be dictated by the type of product you would like to transport. If you need to transport frozen goods you will need a refrigerated truck, whereas electronic components may need another type of truck. 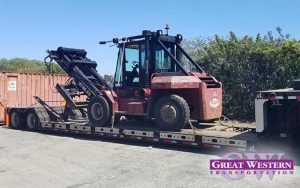 Once you know exactly what you need to move, a trucking provider can provide suggestions on which truck is the best option. Question #2: How will you package the cargo? Another question you should ask yourself is how the products will be packaged. The shape and size of the containers will determine how much cargo space you’ll need. If you have to haul food you should also take into account how the packaging will affect its temperature. Question #3: Do you know how much the cargo weighs? The weight of the products should also determine the type of truck you use. Gather all the products and weigh them on a scale or try to come up with an estimated weight. Your trucking provider can also analyze the weight of your products and come up with a plan on how to transport and load them into the truck. Once you answer these questions you should be able to determine the best hauling option for your company’s products. For more information about our hauling services, please call us toll free at (800) 972-8484 today.